Click here for printable instructions showing how to submit a progress report/academic alert on a student. Please note: progress reports/academic alerts can be submitted ONLY on undergraduate students at OSU, as graduate students are not in the STAR System. How do I view my course sections for the current semester in the STAR System? For previous or future semesters? Select the current semester in the pull-down menu in the top right corner (if not already selected). Your course sections for the semester will appear in the "Class Listing" section of your Professor Home page (house icon on the left). Users with multiple STAR roles (advisor, professor, student, etc.) can click the arrow that appears after the word "Home" to view the pull-down menu to access the home pages of their different roles. To view previous or future semesters, select the desired term in the pull-down menu in the top right corner. How do I email individual or groups of students enrolled in my courses through the STAR System? On your Professor Home page, scroll down to the "Students in My Classes" section and click the check box(es) next to the name(s) of the students to whom you would like to send a message. Click on the "Actions" pull-down menu (it appears just below the words "Students in My Classes") and select "Send Message." Type a subject and your message, click the paper clip icon to add any attachments, enter any additional email addresses, and click the "Send Message" button. Note: All messages are sent blind carbon copy (BCC) by the STAR System. 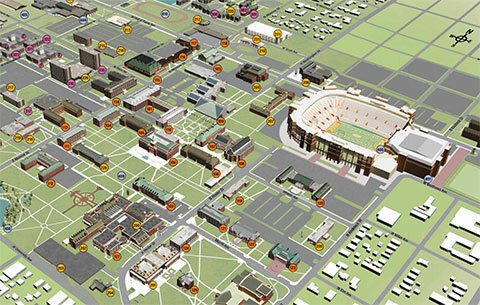 If students reply to a message sent through the STAR System, the reply will be delivered to your OSU email address. Can I read previous email messages I've sent through the STAR System? Yes. All previously sent messages are stored on your Conversations page (envelope icon on the left). Messages sent to you through the system are also viewable on this page. All message here can be marked as read or unread using the "Actions" menu, and automated system messages can also viewed by unchecking the "View Personal Messages" only check box. How do I set up STAR System Calendar integration with Outlook? Navigate to your Calendar page (calendar icon on the left). Click the "Setup Calendar Integration" button for directions on how to display your STAR calendar within Outlook (as an "Other Calendar." Click the "Setup Free/Busy Integration" button for directions on how to pull your Outlook calendar events into the STAR System.